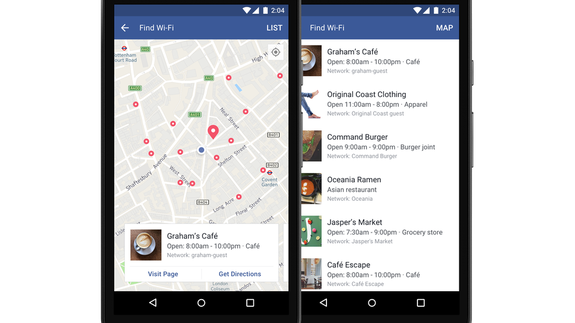 Facebook is rolling out a new feature to help us save on data and locate open Wi-Fi networks, no matter where we are. It’s called Find Wi-Fi, and it shows network-needy users a tailored hotspot map of their immediate area, highlighting locations where they’ll be able to find a connection. The feature was tested for iOS in a few countries last year to positive reviews, so Facebook is releasing it to all users around the world on both iPhone and Android.